How to change my account's billing information? Note: This action can only be taken by Account Owners or users with "Can view and manage billing settings" permission enabled. Read this article to learn how to give proper permission to other users so they can change billing settings for the account if needed. 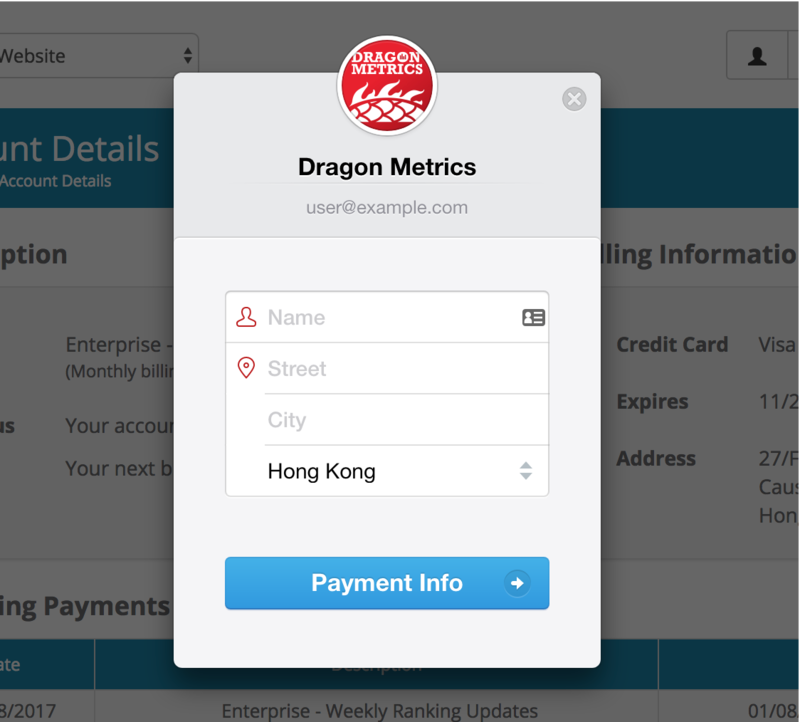 After that, you will see a popup modal allowing you to re-enter your billing information. All the new information you enter here will overwrite the existing billing information in your account. 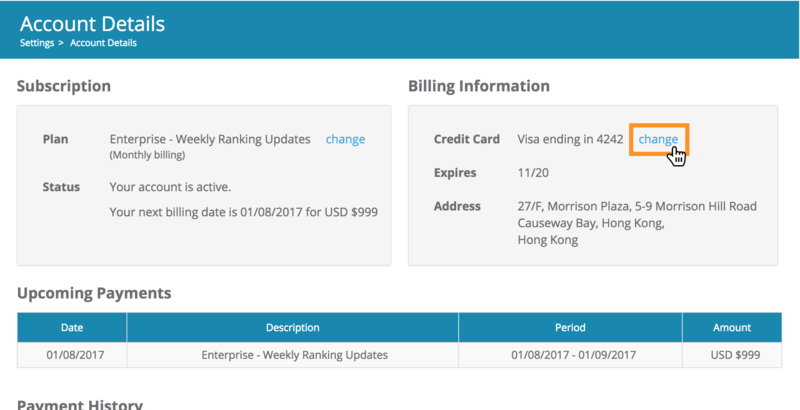 The Account Details page will be refreshed upon successful update of your account's Billing Information and you should see them displayed on the page.